THE media will forever play an integral part in the development of not only Africa, but the world at large, hence the need for innovative and effective skills to enable journalists report stories in a coherent and precise manner. However, before a deep discussion, it is necessary to define the phrase “national development”, so as to understand and appreciate the issues involved in the relationship between media and national development. According to the Oxford Dictionary, development means “a new stage in a changing situation” or “to develop is to become more advanced”. Development is a qualitative change, which entails changes in the structure of the economy, social environment, and political disposition. Whatever the circumstances or the nature of the society in which the media operate, certain factors such as technology are basic in the way they influence national development. Every medium has a message, target audience and aims at influencing change. It also influences attitudes, perceptions and decision making; and it generally influences behaviour. In promoting new ways of telling stories to the public, Barclays Africa awarded 16 African journalists with scholarships who attended the Barclays Africa Data Journalism Master Class at Rhodes University, Grahamstown, Eastern Cape, South Africa from 24th- 27th August 2016. The scholarship beneficiaries were from eight African countries namely; Botswana, Ghana, Kenya, Mauritius, Seychelles, Tanzania, Uganda and Zambia. The awards of the 16 journalists for the 2016 intake were arrived at after a competitive selection process. With regards to the Barclays Africa Data Journalism Master Class, which is now an annual event, has been in existence for 5 consecutive years. During the 5 day intensive training, Journalists were taught how to present data in different forms for the public to easily understand stories. Among topics covered were data presentation and visualisation software such as tableau, excel, google fusion of tables and maps. Tableau is business intelligence software that allows anyone to easily connect to data, then visualise and create interactive, sharable dashboards while Google fusion tables provides data management services that can be accessed directly over the internet through a browser. Google fusion also provides programmatic access via application programming interface and integration of existing tabular data. It is easy enough that any excel user can learn it, but powerful enough to satisfy even the most complex analytical problems, securely sharing findings with others only takes seconds. According to Barclays Africa head of communications Webster Malido, his bank believes that strong, effective and objective media is best placed to tell the African story of growth and development. “The Barclays Africa Data Journalism Master Class is a high-level training programme that seeks to equip business journalists with technical skills to enhance their reporting on financial matters. “We believe that strong, effective and objective media is best placed to tell the African story of growth and development,’’ he said. African Journalists at the end of the training were awarded with certificates at a dinner gala hosted by Telekom. The scholarship also covered attendance to the Highway Africa conference, the largest journalism conference on the continent, which took place from 28th- 29th August, 2016. “We remain committed to support Highway Africa’s training and conference initiatives,” said Mr Malido. 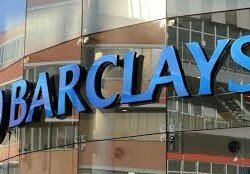 Barclays has been a Highway Africa partner, of this gathering of media professionals, academicians, students and civil society, for the past 15 years. For eighteen years, the Highway Africa conference has been at the centre of Africa’s debates on journalism, media and Information and Communication Technology (ICT). The Conference is hosted by Rhodes University’s School of Journalism and Media Studies in partnership with the Department of Communications (South Africa), Corporate South Africa, development agencies and media associations. The Highway Africa conference 2016 held under the theme “The internet and the media”, has over the years become the largest annual gathering of African journalists in the world. Others are up skilling, educating and training journalists; Conference: the flagship of the programme, it is the forum for critical reflection on journalism, media, technology and development in Africa. At the official opening of the conference, google South Africa head of communication and public affairs Mitch Atagana in her key note address challenged the African media to use the internet in creating a continent where everyone thrived. “By 2020, half a billion of Africans will be online. Can you imagine what can be done when that many people can be online? The young African generation these days is using internet to voice out,” she said. The appearance of the internet and the incredibly rapid development of highly sophisticated computer and telecommunication technology have made the world a global village in a real sense. Communication network satellites provide the quickest and the cheapest data transfer to all parts of the world. The internet provides a better access to numerous sources of information around the world, as well as direct communication with all users. Development of information technology and the creation of computer networks and the internet have enabled a new way of communication. The internet is a collection of computer networks around the world and as such is the largest computer system that millions of computer users can use and share all kinds of information: numbers, text, sound and image. And Media Institute of Southern Africa (MISA) Mozambique chairperson Fernando Goncalves said lack of investment in media houses had weakened the position of the media in Africa. Mr Goncalves said most of the media companies in Africa depended on support from foreign donors which also contributed to the weakening of the media. He was speaking during a plenary discussion on “Confronting the media sustainability challenge in Africa” on the side-line of the Highway Africa conference. “As many African economies are struggling, the growth of the advertising market where most media companies get their revenue from had also been affected,” he said. The fourth estate, as the media is called, therefore, has a task to report factual and issue-based stories, which includes telling African stories to promote the continent’s developmental agenda and this can only happen once journalists’ skills are advanced.